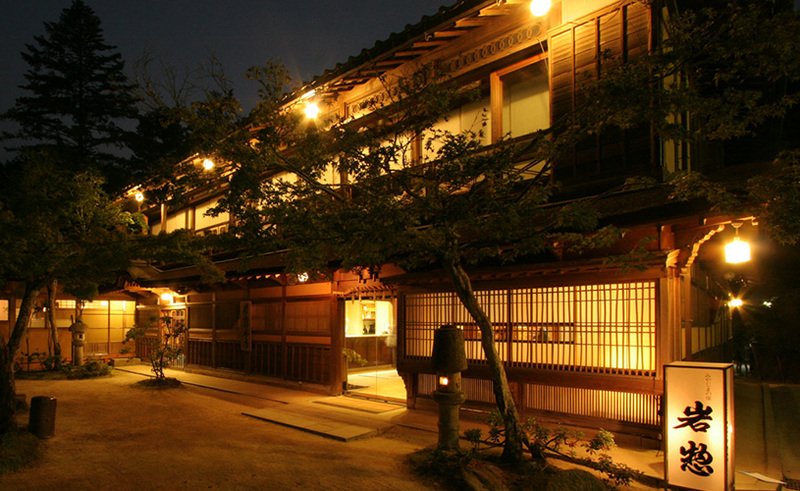 Tamatsukuri Onsen is centrally located right between the two major cities of Izumo and Matsue. 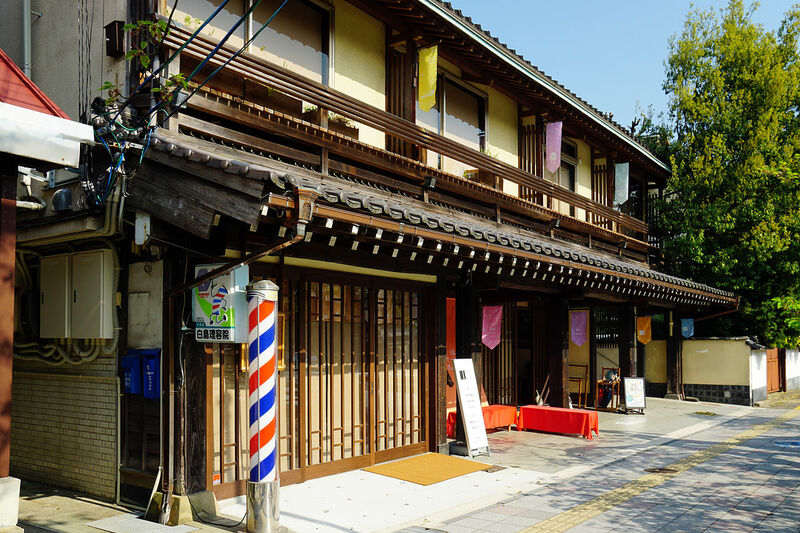 Tamatsukuri Onsen is one of the oldest onsen in all of Japan. 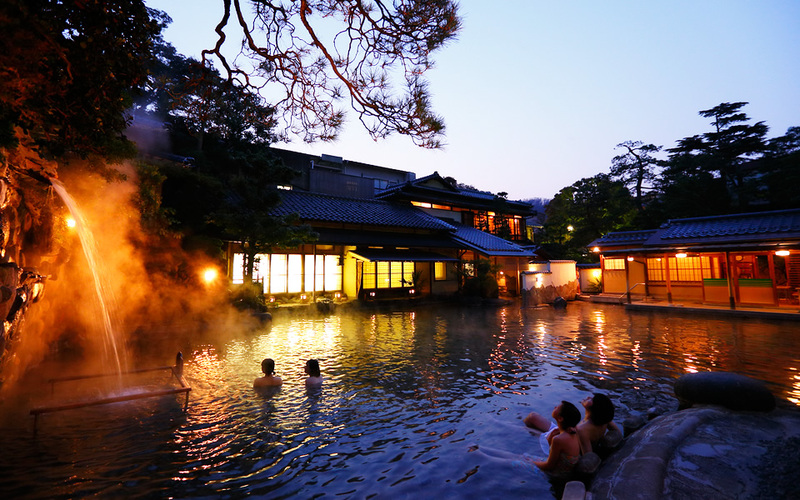 the waters here are said to have dermatological beautifying properties; and this is no mere legend, for scientific analysis has turned up positive for beneficial minerals and chemicals in Tamatsukuri Onsen's waters. Tamatsukuri Onsen is not only relaxing for the nourishing onsen waters, but also gives you many options if you like to explore during the day. During spring, Tamatsukuri Onsen is noted as one of the most beautiful places in Japan to catch the cherry blossom. Welcome to Hoseikan. 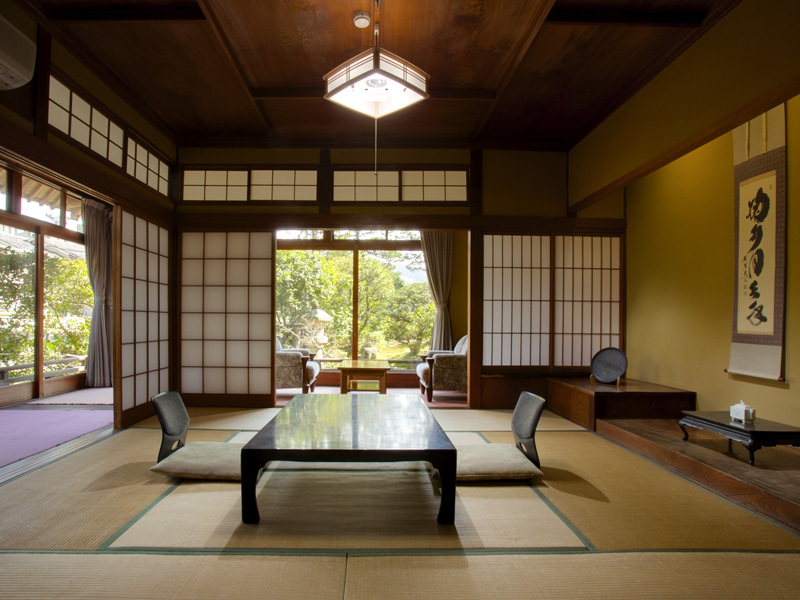 This Ryokan Hotel has 57 Japanese-style guest rooms, and all of the guest rooms have their own private bath and toilet. Hoseikan is surrounded by a lovely Japanese garden, and there are both indoor and outdoor hot spring baths for women and men (same gender only). Traditional Japanese-style seafood cuisine is served to the guests at Hoseikan. Check-in time is after 3:00pm and check-out time is before 10:00am. Parking is available.